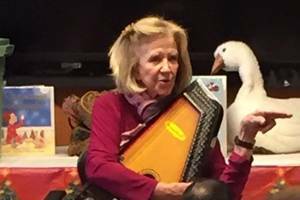 Add to My Calendar 01/28/2019 4:00pm 01/28/2019 5:00pm America/New_York Students Taking an Active Role Club: Balancing Act! Our STARS Club returns this Monday, January 28th! 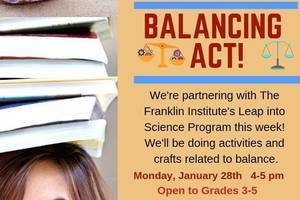 We're partnering with The Franklin Institute's Leap into Science program and we'll be doing activities and crafts related to BALANCE! 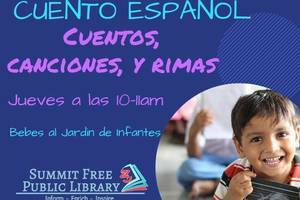 Open to kids in grades 3-5. Come check it out--it's fun! Reserve a spot at www.summitlibrary.org and go to the event page or call us at 908-273-0350, ext. 825! 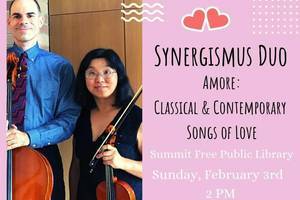 The Synergismus Duo will get you in the mood for Valentine’s Day with classical and contemporary music about love. The concert will include Renaissance love songs, classical opera arias, tangos, and Broadway love songs.